Lessons before dances are often, but not always, included in the price of admission to the Social Ballroom Dances. The calendar will have information about lessons offered before dances. The beginner and intermediate lessons are usually offered concurrently before the Sunday night dance starts. The Ballroom 101 lesson is offered in the studio after the dance starts. You may attend any of these lessons with your paid admission to the dance. Should I take the beginner or the intermediate level lesson? If you are not thoroughly familiar with the basic steps of a dance, we suggest you take the beginner level lesson. This has nothing to do with how long you have been dancing in general. The instructor for the intermediate level lesson will assume that all students are familiar with the basic steps of the dance and will spend little time, if any, teaching the basics. If you are not familiar with the basic steps, you probably will find yourself falling behind and not enjoying the lesson. or on other special occasions often include a beginner/intermediate lesson in the price of admission. Sometimes, however, a lesson is not included. Such information will be provided in the calendar of events. does not include lessons in the $6 admission price. West Coast Swing Nights are held almost every Friday of the year (please check the calendar). Admission is usually $15 for both the dance and the lessons. Lessons usually start at 7:30 and dancing at 9:00. Lessons usually include a beginner lesson as well as a lesson for experienced West Coast Swing dancers. Dave Moldover’s Dance Jam Productions is the official host of “West Coast Swing” night. This very dynamic group has an ever growing schedule, so check back often! Lessons usually start at 7 or 8 pm with dancing starting at 10 pm. Tickets are usually $20 or less for the entire evening (both the lessons and the dance). The price for admission to the dance only is less. Tommy Smith (Mr.Mambo) is the official host of the Salsa Social with the Bachata Invasion (“Latin Night”). Singles, couples and groups are always welcome, both to the lessons and to the dances. Partners are not required (unless otherwise noted). Check the CALENDAR for what lessons will be taught and which instructors will be teaching the lessons on different nights. Lessons may be held in the main ballroom or the studio. The INSTRUCTORS PAGE has information about our instructors and how to contact them. For special events and International programs, please see the information posted about each event. 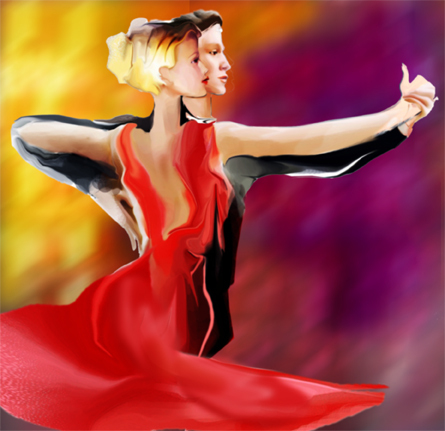 © 2011 - 2019 Hollywood Ballroom Dance Center, All Rights Reserved.